Boca Raton, Fl. June 25, 2018 Grom Social Enterprises (OTCQB: GRMM) ("Grom" or the "Company"), an innovative leader and pioneer in providing original social media content to children between the ages of five and 16, today announced that it had introduced its Digital Citizenship Program (“DCL”) across all of its platforms including its Grom Social website www.gromsocial.com; and Grom Educational Services d/b/a as NetSpective Webfilter www.gromedu.com. 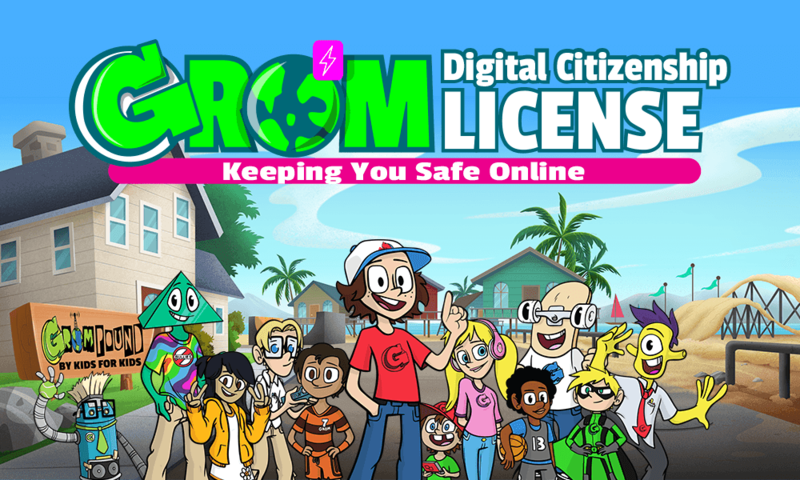 This product is intended to be a “kid friendly” way of helping a child learn how to how to safely navigate the Internet to become a “Good Digital Citizen.” Grom’s DCL program is a quick and easy learning tool. Darren Marks, Grom’s Chairman and CEO said, “We are very pleased to introduce our DCL program which is starting to gain traction as more people become aware of it. Not only are we being socially responsible by offering this product which directly addresses the universal concern over our children’s online safety; we are also differentiating ourselves from our webfiltering competitors by offering value added products which includes the DCL, at our NetSpective Webfilter division. Rian Yablun, the President of Lakeshore IT Solutions located in Fox Lake, Illinois stated, “Our Company provides K-12 services to numerous schools. NetSpective’s Webfilter services combined with their unique DCL program enables us to offer our schools at a very competitive price, a “one stop solution” that will help them to achieve CIPA compliance in addition to addressing their web filtering requirements. This is an introduction of the content kids see when achieving their Grom Digital Digital Citizenship License.